Home > contracts&law notes > What is Indemnity, and why should you care? What is Indemnity, and why should you care? If you have ever asked a lawyer to review your construction contracts (and you should have), you may have noticed that lawyers get very excited over the indemnity provisions that may or may not be in the contracts you are contemplating signing. What are indemnity provisions, and why should you care? Quite simply, an indemnity provision is a statement that one of the parties agrees to pay any sums the other party might otherwise be legally required to pay to a third party. Now that I’ve mentioned picking up someone else’s tab, I hope I have your attention. As you might imagine, an indemnity provision can be a costly item, so you should have a thorough understanding of what such a provision means. In general, indemnity provisions are contractual, and contract rules concerning them apply. What that means is, if the contract says you will pay for the owner/builder/developer/designer’s legal liabilities to others, you may have to open the checkbook. To the fullest extent permitted by law the Contractor shall indemnify and hold harmless the Owner, Architect, Architect’s consultants, and agents and employees of any of them from and against claims, damages, losses and expenses, including but not limited to attorneys’ fees, arising out of or resulting from performance of the Work, provided that such claim, damage, loss or expense is attributable to bodily injury, sickness, disease or death, or to injury to or destruction of tangible property (other than the Work itself), but only to the extent caused by the negligent acts or omissions of the Contractor, a Subcontractor, anyone directly or indirectly employed by them or anyone for whose acts they may be liable, regardless of whether or not such claim, damage, loss or expense is caused in part by a party indemnified hereunder. . . . However, construction indemnity clauses indemnifying a party for its own negligence can be valid and enforceable so long as the offending portion of the indemnity clause can be redacted (that is, stricken from the paragraph). Vecellio & Grogan, Inc. v. Piedmont Drilling & Blasting, Inc., 183 N.C.App. 66, 644 S.E.2d 16 (2007). In the example of the AIA A207 provision above, the phrase “To the fullest extent permitted by law” acts to keep the phrase within the permissible parameters of North Carolina law. Therefore, if you signed a contract with such a provision, you may be on the hook. Not all indemnity provisions are equal. Some, such as in the above example, make attorney fees part of the expense which is passed along. Others expressly exclude attorney fees. Some provisions include a “duty to defend” on behalf of the other party, while others are silent on that issue. What is most important is that you recognize that such language is extremely important and should be discussed in detail with your knowledgeable construction lawyer. As with getting your hair cut, you could do it yourself, but should you? 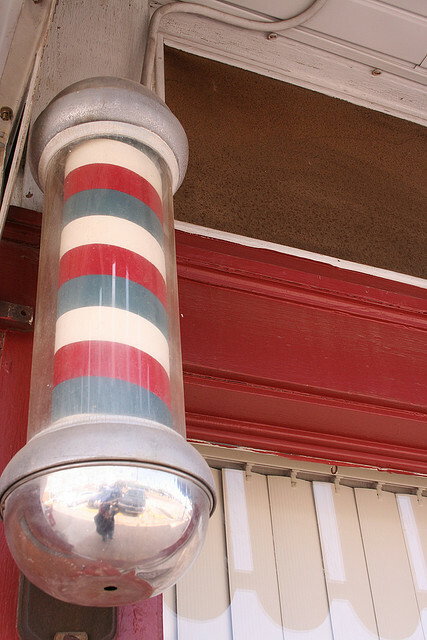 Photo “Barber Shop Pole” by MyEyeSees via Flickr/Creative Commons License.